The Sierra 3500HD gets a number of new features for 2016, including HID projector headlights, available Digital Steering Assist, gooseneck/fifth wheel trailer prep package, wireless phone charging, and updated GMC Intellilink infotainment systems. 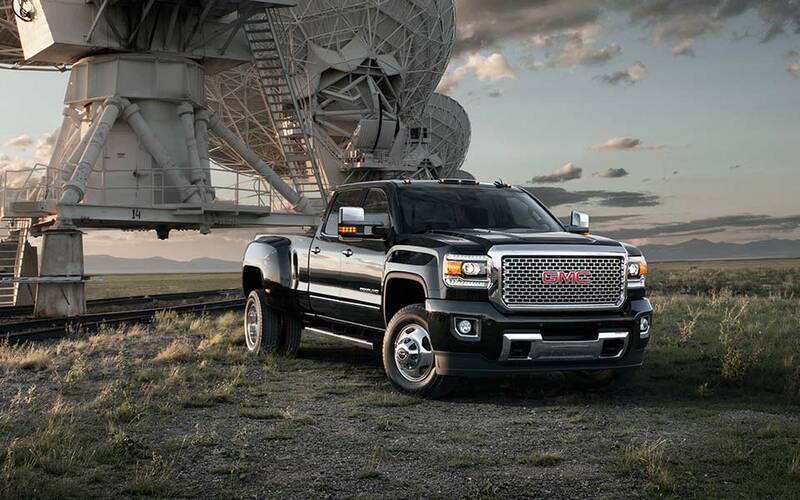 If you want a truck that can haul anything, look no further than the 2016 GMC Sierra 3500HD. With powerful V8 Vortec gasoline and Duramax diesel engines, the Sierra 3500HD has the capability to match the best of the heavy-duty truck competition. 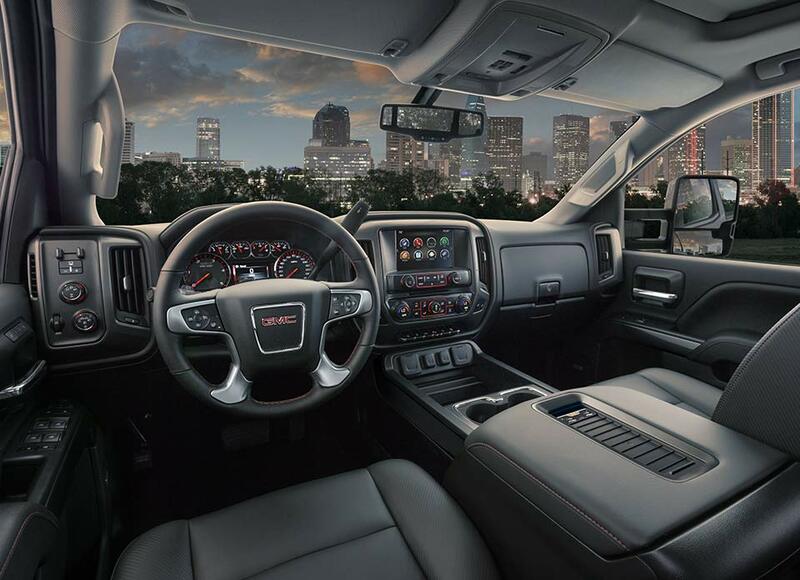 Like all GMC trucks, though, it also features more upscale styling and a premium interior. The Sierra 3500HD is the more civilized choice among beastly big trucks. 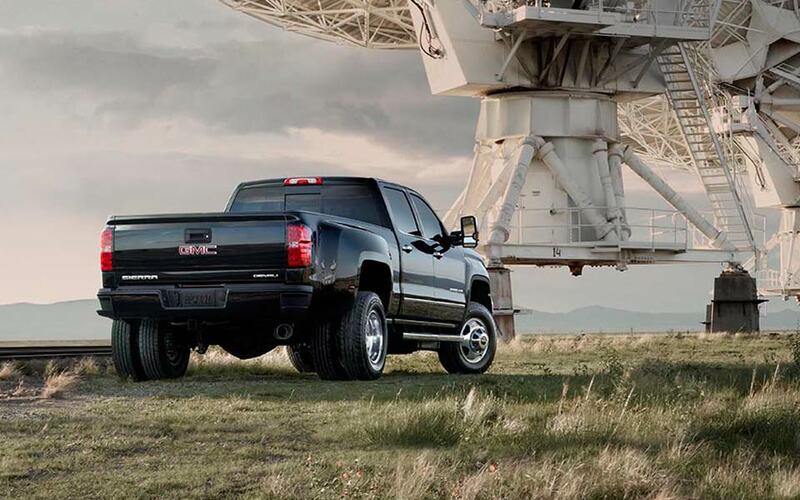 The Sierra 3500HD is GMC’s biggest pickup truck and its most capable work vehicle. Like all current GMC trucks, it’s a civilized machine that can still do what trucks are made to do. When properly equipped, this beast can tow up to 23,200 pounds. When it comes to GMC’s HD trucks, the choice is gasoline or diesel, with one of each engine type available. The Sierra 3500HD is offered with General Motors’ 6.6-liter Duramax turbodiesel V8. This engine produces 397 horsepower and 765 pound-feet of torque, and is mated to an Allison six-speed automatic transmission. 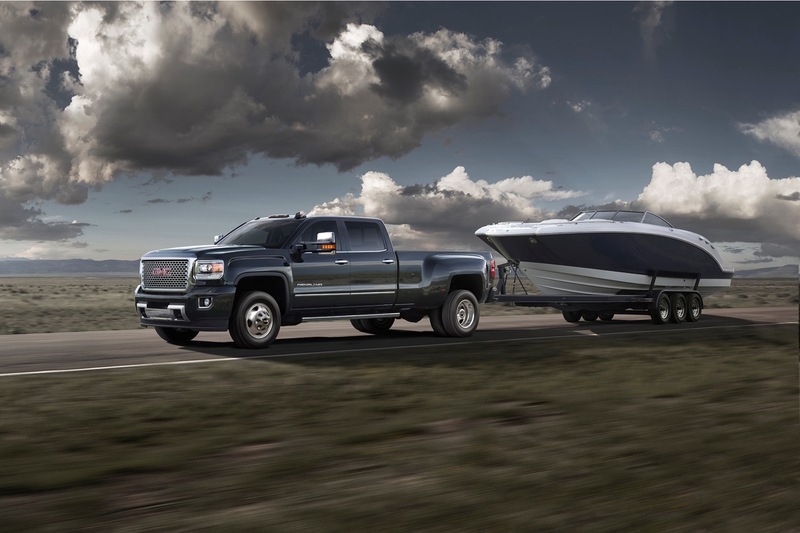 Both Sierra 3500HD powertrains are available with rear-wheel drive or four-wheel drive. The EPA does not publish fuel-economy figures for heavy-duty trucks. Buyers can also opt for a 6.0-liter Vortec gasoline V8. It produces 360 hp and 380 lb-ft of torque, and comes with one of GM’s own Hydra-Matic six-speed automatic transmissions. The Vortec engine can also run on E85 ethanol or compressed natural gas (CNG), although it makes less power on the latter. All Sierra 3500HD models feature fully boxed frames for extra strength, while diesel models get an exhaust brake that uses the turbocharger to create backpressure in the engine to help slow the truck. Certain models also get new Digital Steering Assist, which automatically provides corrections to enhance stability, and make the Sierra feel more maneuverable and responsive. It may be designed as a work vehicle, but the base model isn’t without its creature comforts. Standard equipment includes power door locks, cruise control, a trailering package, CornerStep rear bumper, cargo-area light, HID headlights, tilt steering column, and audio system with 4.2-inch color display screen. The Sierra SLE builds on the base model with added features like Digital Steering Assist, remote locking tailgate, power-adjustable heated outside trailering mirrors, Bluetooth®, remote keyless entry, leather-wrapped multifunction steering wheel, Intellilink® 8.0-inch touchscreen infotainment system with SiriusXM® satellite radio and HD Radio® compatibility, 4.2-inch Driver Information Center, and more. The SLT trim level incorporates the applicable standard features from the base and SLE models, as well as fog lights, power-adjustable pedals, a 110-volt AC outlet, remote start, and other features. The Denali is GMC’s top trim level, bringing an element of luxury to all of the brand’s models. 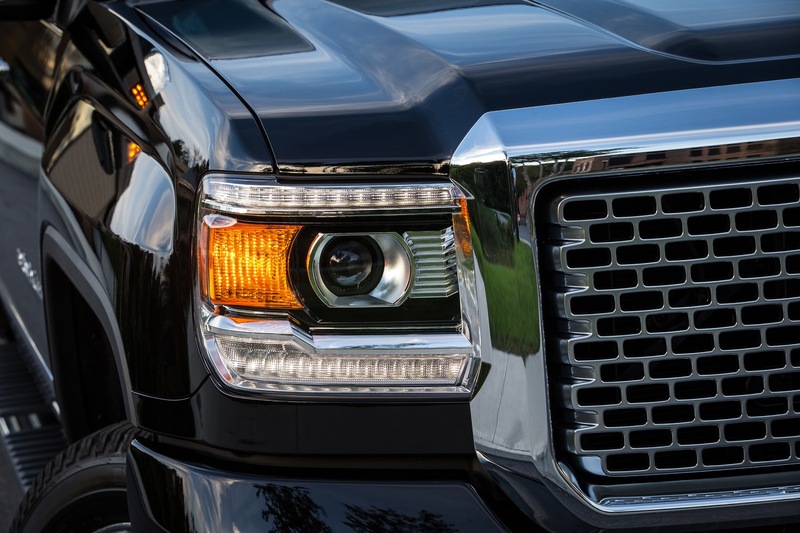 Distinguished by special chrome grilles, Denali models have a higher level of standard equipment than other trim levels. The Sierra 3500HD Denali comes standard with a spray-on bedliner, heated steering wheel, wireless phone charging, navigation, Bose® audio system, and heated and ventilated leather front bucket seats. The 2016 GMC Sierra 3500HD sports more sophisticated exterior and interior styling than other trucks in its class. Attention to detail gives the Sierra a more premium feel than the competition. The exterior is a mix of attractive styling elements and practical features. Standard HID projector headlights with LED daytime running lights, combine with a bold rectangular grille and power dome hood to give the Sierra 3500HD a tough look. Further back, inlaid doors fit into recesses in the body to reduce wind noise, and at the back GMC’s CornerStep rear bumper step allows easier access to the bed. It’s possible to equip the Sierra 3500HD as a Spartan work truck or a luxury cruiser, but either way the interior design is clean and functional. The instrument panel includes an intuitive six-gauge cluster, as well as center-stack display screen. Certain models get a 4.2-inch Driver Information Center display in the gauge cluster. That can be paired with GMC’s intuitive IntelliLink® infotainment system. GMC offers plenty of body configuration choices, including regular, double, and crew cabs, 6’6” and 8’ beds, and single or dual rear wheels. Front seating configurations include a 40/20/40 split-folding rear bench, or dual bucket seats on certain models. When equipped with front bucket seats, the Sierra gets a lockable center console with the depth and width to hold a laptop. Standard safety equipment on the 2016 GMC Sierra 3500HD includes anti-lock brakes, StabiliTrak® stability control, traction control, a rearview camera, and a full array of airbags. Optional equipment includes forward collision alert, front and rear park assist, hill descent control, and lane departure warning. The 2016 GMC 3500HD is a civilized beast of burden.